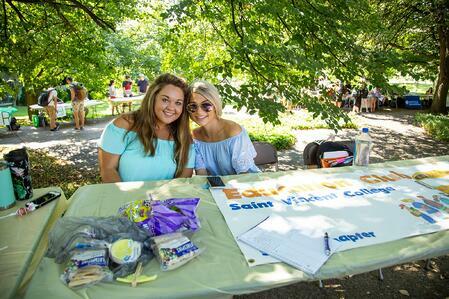 This past Wednesday, Sept. 5, Saint Vincent’s campus life department held its annual Club Fair in Melvin Platz. 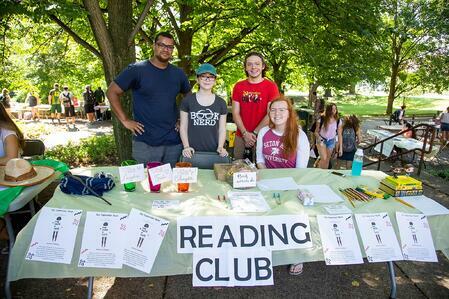 Representatives from each on-campus club were present to share information, sign up new members and host an activity. 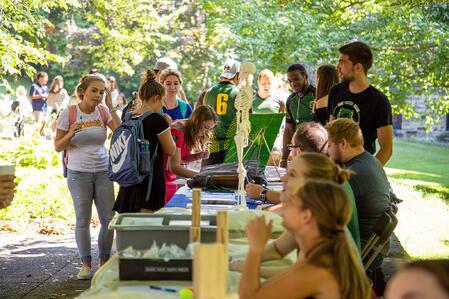 Club Fair is a great opportunity to see, and take advantage of, what campus life has to offer at SVC! 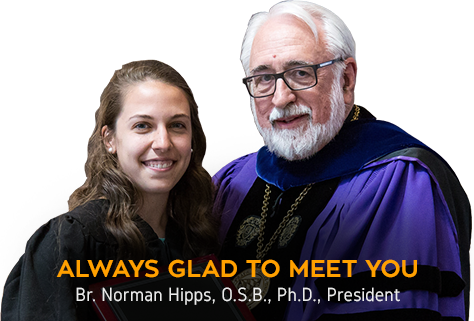 There are more than 50 clubs on campus that cover any and every interest that you may have. Clubs that focus on a certain hobby/popular pastime and allow you to express yourself. Community service clubs that are all about giving back and making a difference. 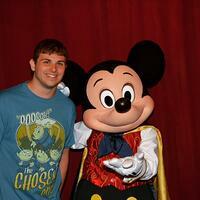 Career building clubs that make great additions to resumes and prepare you for the workforce. Activist clubs that really make you think and allow you to hear the opinions of your peers. Clubs that celebrate academia and supplement the major you’re pursuing. The opportunities are truly endless! 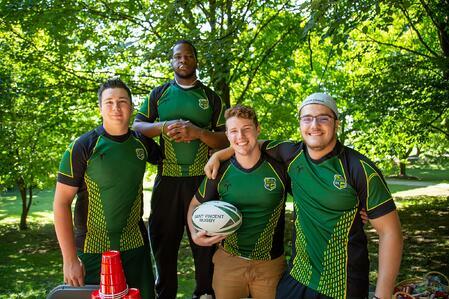 You can check out the full list of clubs on the Saint Vincent online portal under the Student Life tab by scrolling to the bottom of the Clubs and Organizations page. If your search came up short and you think there should be a new club, starting one of your own is super easy! Fill out the Club Authorization form and you’re on your way to being the president of your own new club on campus. A great way to approach getting involved at SVC can be explained through the words of Deanna Wicks (assistant director of Campus Life). I remember at my freshman orientation, she told us that the best advice she could offer is for each of us to find just two things on campus that we are passionate about. Whether that be a sport and a club, two clubs, or whatever combination it may be, just commit yourself to two things that you love. This has been some of the most valuable advice I’ve received, and it truly enhances your college experience when you find these outlets to enjoy outside of the classroom. Being a student alone puts a lot on your plate academically, but in college it’s important to keep in mind that you also have to make time for yourself and things you enjoy. Clubs are an amazing way to do that while also building your resume and preparing you for future careers. So being involved is a win-win! You get to spend time doing something you love while meeting new people and creating unforgettable memories. From my experience, joining clubs has been the best decision I’ve made during college! Being active in several clubs and organizations has taught me how to manage my time wisely and given me valuable social skills that I truly don’t think I would have developed otherwise. 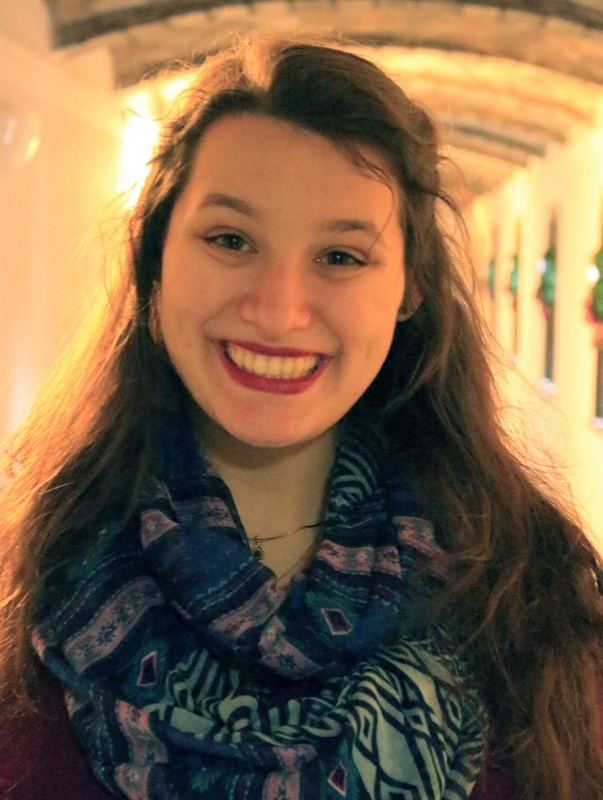 My involvement on campus allowed me to completely break out of my shell and have more confidence. So, I encourage everyone (especially freshmen!!) to get involved and allow yourself to make the most of your time here. It’s never too late to start something new, but you definitely don’t want to regret not joining something sooner! So, I hope that you used this week’s Club Fair as your opportunity to find your passions. A lot of clubs will have their first meetings this upcoming week! 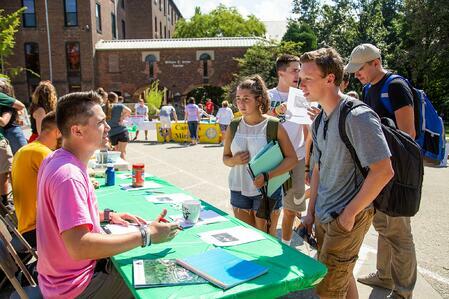 So, if you didn’t make it out to the Club Fair, but still want to join something new … just reach out to the club’s president to find out meeting info and they’ll add your name to the mailing list! The president’s contact information can be found under the club description on the portal. It’s as simple as that!